A new CASE study! 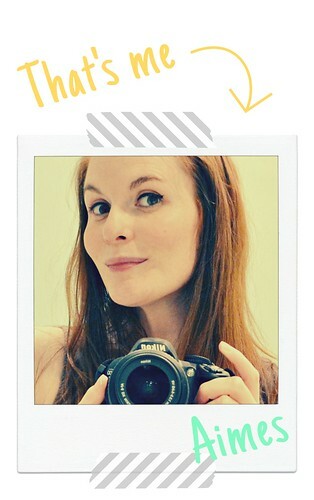 But not only that, a new CASE study with a new muse! March brings us spring, daffodils and for us on CASE study, Julee Tilman! 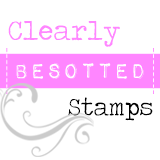 I'm sure you all know Julee as the owner and designer of Verve Stamps - we're so excited to have her on board! I know! What on earth was going on whilst I was creating this?! Sooooooo not my style but I have to say I was on a ball of a creative adventure getting covered in ink with it! Just played in my crafty corner, kept referring to Julie's creation and this is what it resulted in! Right I've really gotta get myself organised for a weekend of packing boxes and maybe, just maybe, having a good sort out of my stash hoard collection of crafty bit 'n' bobs - wish me luck! Thank you so much for stopping by and have a super weekend! Aimes the card is STUNNING!! yeah not your usual thing but still as beautiful as ever! just the other day I was wondering if I can stamp the Fabric design horizantly..:)..and the flower is stunning! Love your clean, yet vintage take on the CASE. This could become a new normal.IT is GORGEOUS! It may not be your usual style but I love it! Just gorgeous! That flower is so perfect!!! Love your new look! 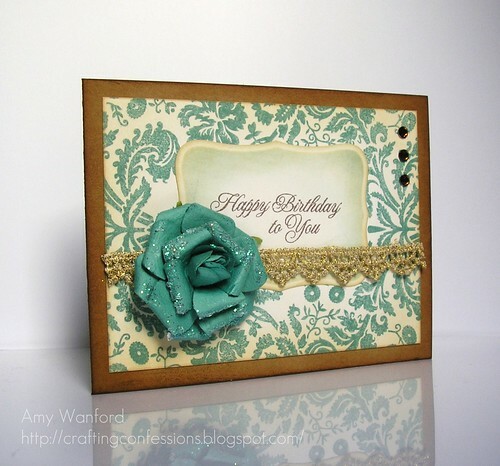 The flower is so gorgeous and the vintage background and lace look fabulous with it! There's nothing you can't do! This is so, so pretty. Love this Aimes! Very different for you but you totally made it work! Ooo--this is so elegant!! Simply beautiful!! This is just gorgeous! Love the glitter on your flower and the elegant paper and details. Jaw hitting the floor here! WOW! That rose is amazing! I love the background too! Beautiful! So very elegant! nicely done.